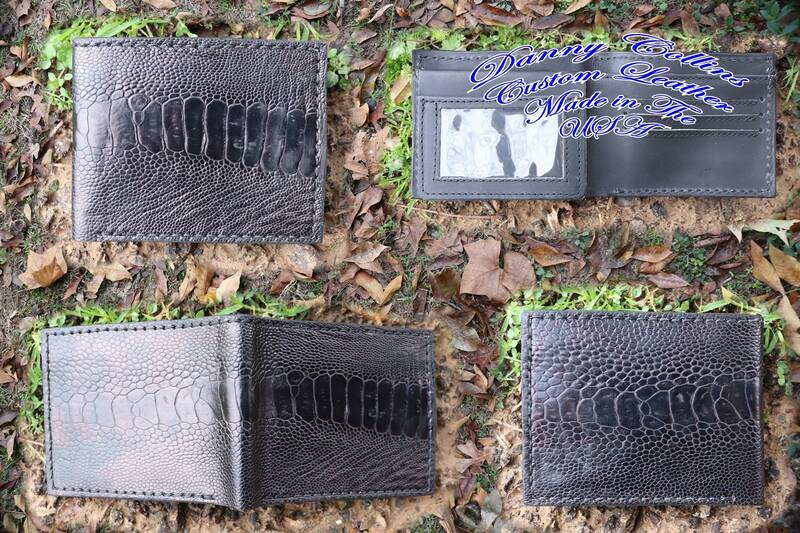 This black on black bi fold wallet was made here at my shop in S.E Oklahoma. The outer shell is genuine ostrich leg and the interior is made from the finest Buffalo leather available. This wallet features six card slots and two compartments for your bills.